Kamedajima fabric is lovingly woven from approximately 3,000 threads of independently dyed, hand-spun slub yarn. Kamedajima is well known for its soft texture and durable weave. 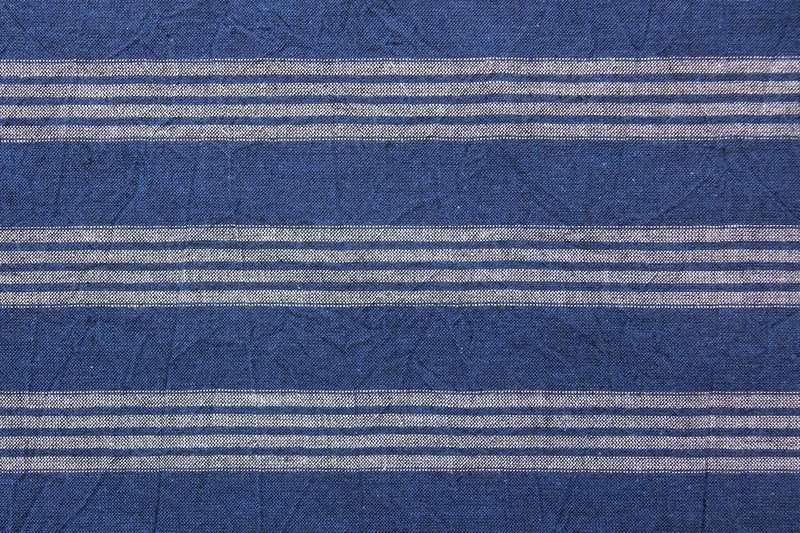 Upon completion, every inch of kamedajima fabric is hand-inspected by the artisans. The final product undergoes multiple wash cycles to create a fabric that is flexible yet stable and doesn’t lose its shape. While many fabrics undergo resin finishing to adjust their strength, flexibility, or softness, no resin finish is applied to kamedajima fabric. Kamedajima is an entirely natural fabric. 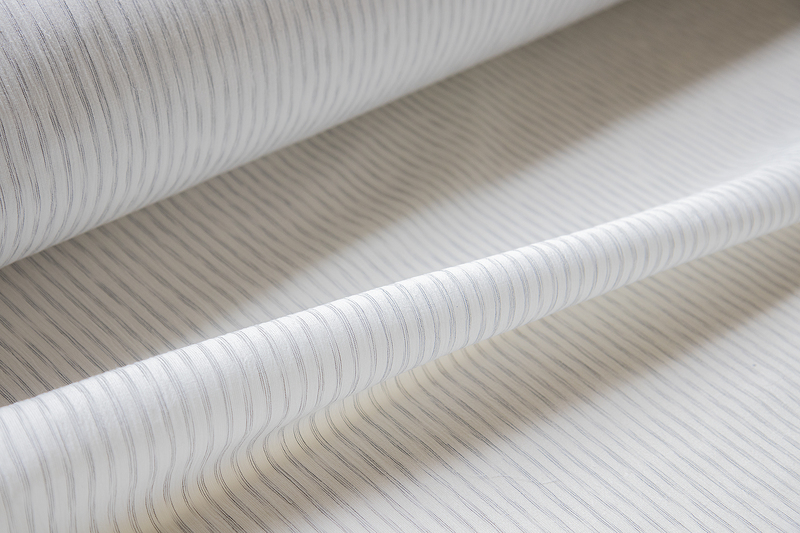 The careful, time-consuming processes required to produce kamedajima result in a high-quality, hardwearing fabric characterized by functional beauty, authentic patterns, and a traditional texture. Soft and supple, kamedajima fabric effortlessly shapes itself to the body of the wearer. As agricultural wear, Kamedajima fabric was widely used by farmers as far north as the Tohoku region. Believed to have first appeared in the second half of the 1700s, the fabric has a long history. The Kameda region was previously a low-lying wetland, and farmers were subjected to brutal conditions, forced to work waist deep in the marshes. Under these harsh circumstances, Kamedajima work clothes—resistant to water and mud, and made to grow more supple and better fitting with each wash—were improved over many years. The hidden strength of striped cotton, transformed into a tough weave by women’s hands, supported Kameda’s agriculture. Kamedajima is an excellent choice for anyone seeking a quality product that can be used for many years. Experience the unique texture and durability of Kamedajima, a traditional fabric of Japan.